Sans Souci, based in Boulder, Colorado, U.S.A., is a niche film festival specializing in dance cinema and incorporating live performance. For the 16th marvelous season, Sans Souci announces its annual call for entries. We'll curate dance cinema submissions from around the world, then the accepted films will be screened at events in Boulder County, Colorado (USA). Once films become a part of our archive, they may be invited to our national and international tours. Before submitting, please read complete rules and regs. To submit your film, click the button below. We're so excited to release this brand new trailer featuring highlights from our 15th Anniversary Season. These are just a few of our favorite films from 2018. Check it out! Click here to see the article about on SSF's 15th season by CU's Arts & Sciences Magazine. Sans Souci is hopping a plane... to Brazil! We couldn't be more pleased to announce a few "first-evers" for us: the first time we had a second call-for-entries in the same year, the first time we'll be co-producing an event in South America, and the first time we'll specifically highlight artists from Brazil in their own event. What a treat! For more info you can visit the event website or our program page. 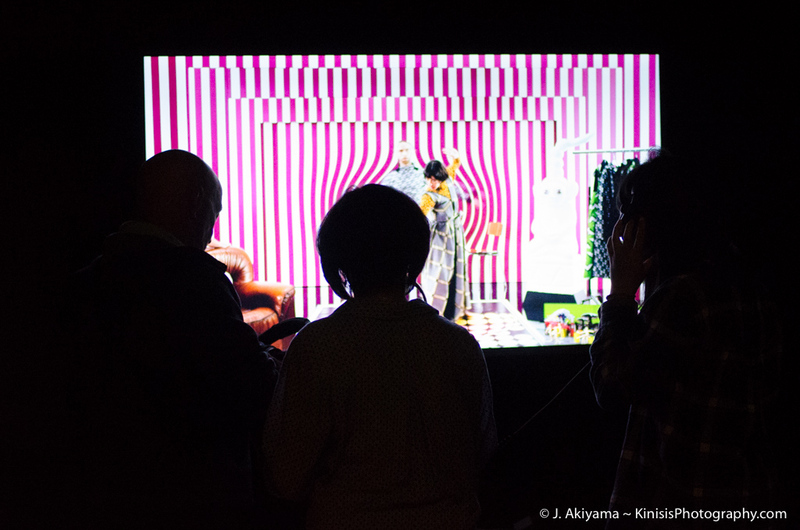 Image by J. Akiyama, Audience engaging in installation of "WOMB" (2016, Switzerland) directed by Gilles Jobin. We thought about calling ourselves a Dance Film Festival, a Video Dance Festival, a Dance Video Festival, a ScreenDance Festival, or a Dance for Camera Festival but we settled on Festival of Dance Cinema because that seems to cover the bases best. 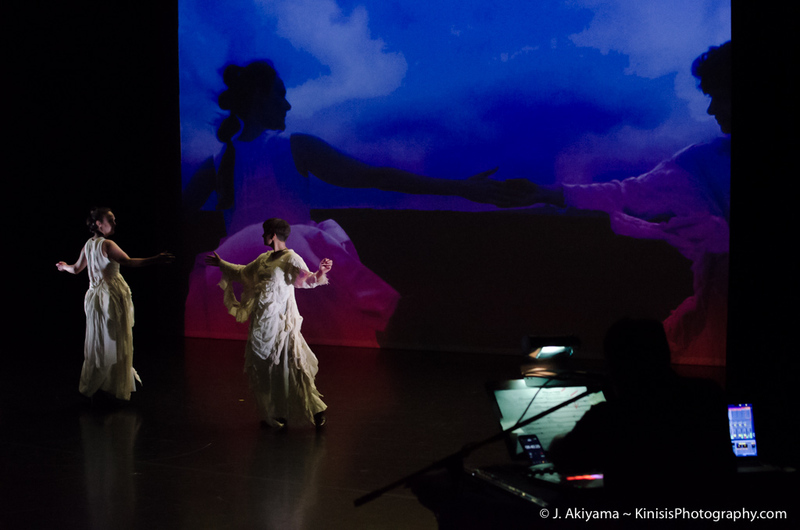 Image by J. Akiyama, from the live multi-media performance "Wild-er-ness" (2017) by Ana Baer and Heike Salzer.